← Is It Time to Intervene? You may think that mom or dad needs a little extra help at home, but you’re not sure exactly what those needs may be. Before calling a home health care agency like OptimumCare Home Care Services , it’s a good idea to have a rough idea of the specific needs of not only the care recipient, but the needs and concerns that immediate family members may have as well. Does mom need help getting up and getting dressed in the morning, but not so much at night? Does dad need someone to go shopping, plan and prepare meals? Does Grandma just need help with bathing a few times a week? Does a loved one simply need transportation to and from doctor, dental, or other medical visits? Other important questions to ask include whether your loved one needs in-home nursing care or is merely looking for some companionship. Does she need someone to help clean the house, or someone to keep her company a couple days a week? Other things to consider are level of independence, mobility capabilities, as well as cognitive abilities. If mom or dad has any form of dementia, some specialized training or supervision by someone who is familiar with caring for those with dementia is recommended. 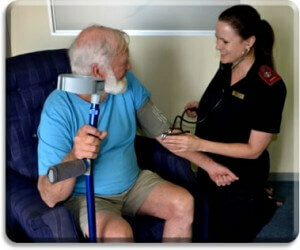 OptimumCare Home Care Services provides services that range from a few hours a day to round-the-clock care. Determining whether mom or dad might just need a couple of hours of help each day or round-the-clock care is important when approaching a home health care agency. If you’re not quite sure, or if family members disagree, contact OptimumCare Home Care for a free in-home assessment that will also help guide you and inform you regarding potential services based on individualized care scenarios. Not every situation is the same. Neither are care recipients, their families, or needs and desires. The most important thing to keep in mind is mom or dad’s safety, sense of security, level of independence and mobility. Care plans are not written in stone, but adapt as needs, goals and desires change. When determining care needs for a loved one, resist assuming that mom or dad can do things just because they say they can. Many times, seniors insist that they can do things on their own, and that’s to be expected. Whenever possible, visit your loved ones, quietly observe their capabilities, and go from there.